Roger Ailes created Fox News in his image: An angry, paranoid genius devoid of empathy who tried to weaken others by dividing them. It’s naive to blame the current cancerous state of American politics on a single carcinogen, but don’t let that stop you from pointing fingers at Roger Ailes. 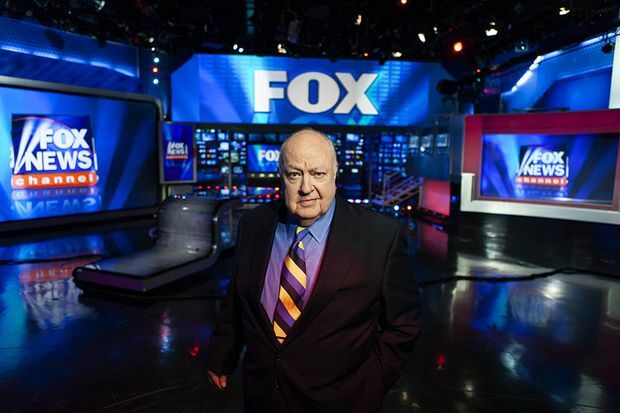 As Alexis Bloom’s enraging new documentary lays bare, the founder of Fox News Channel, who died in May, 2017, less than a year after sexual harassment revelations led to his swift banishment, did as much as anyone to infect the American body politic for fun and profit. Felycia Sugarman, who worked with Ailes at his communications consulting firm to help propel Mitch McConnell and many others (including George H.W. Bush) into office, notes that her old boss understood from all his time in politics “that frightening people – pouring gasoline on that fire – that gets people glued to their televisions.” And so Ailes created Fox News in his image: An angry, paranoid genius devoid of empathy whose pathological insecurity sought desperately to weaken others by dividing them. (If that sounds like a current occupant of the White House, so be it.) If Bloom doesn’t chart much new territory – the most deeply reported account of Ailes’s cynical rise remains Gabriel Sherman’s 2014 unauthorized biography, The Loudest Voice in the Room, which is in the midst of being adapted for a TV miniseries – it is gutting to listen to some of the women who came forward, as the dam broke in 2016, with their stories of harassment. He harmed them; he poisoned America. We’ll all be living with the consequences for years. Divide and Conquer: The Story of Roger Ailes opens Dec. 7 in Toronto, the same day it’s available on iTunes Canada.